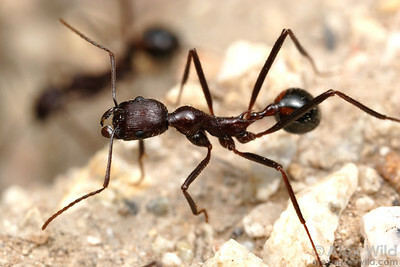 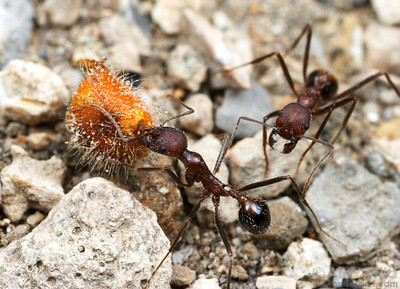 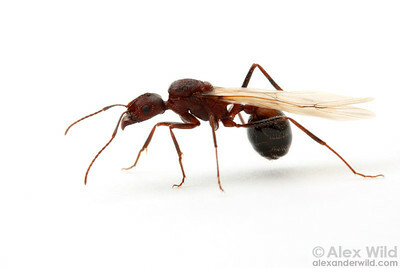 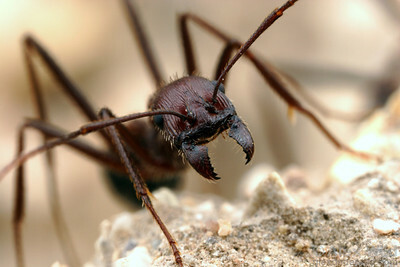 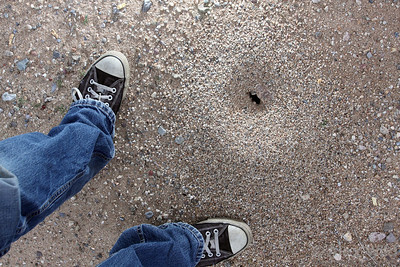 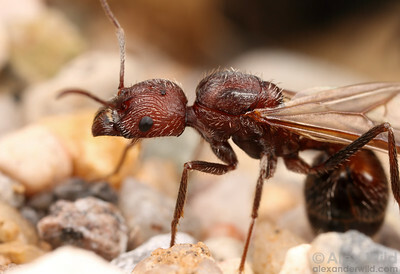 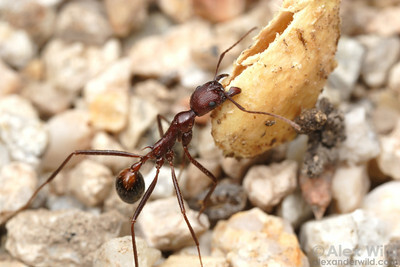 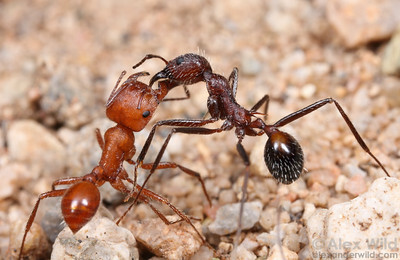 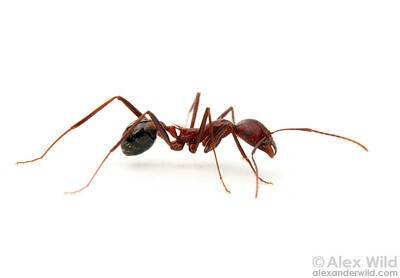 is a small genus of large, slender seed-harvesting ants common in the deserts of the North American southwest. 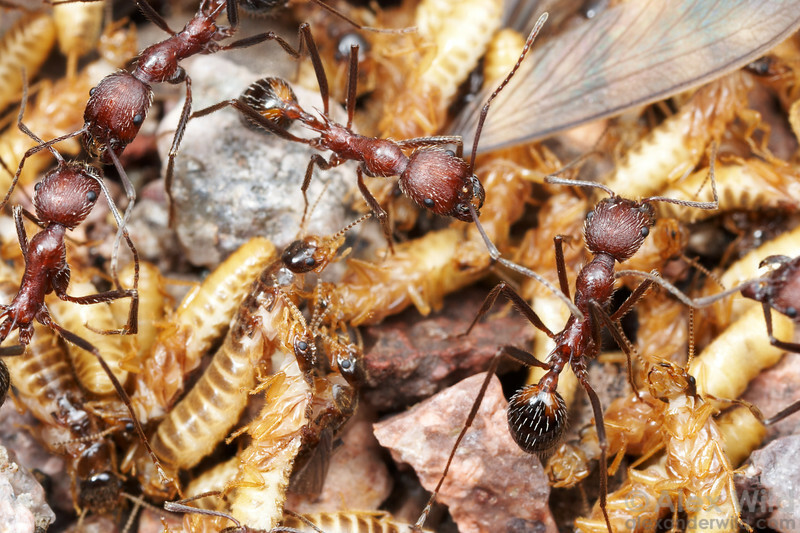 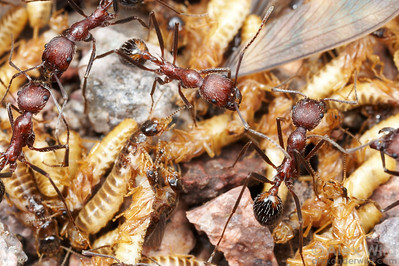 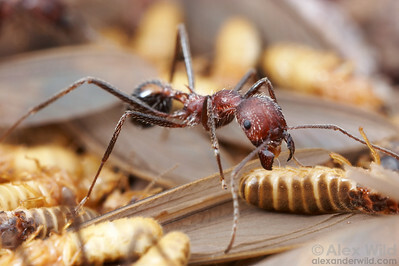 The mass emergence of termites at the start of monsoon season is a bonanza for ants. 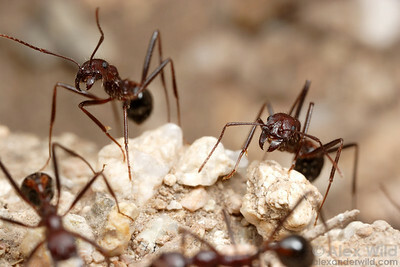 Here, harvester ants stand guard over their catch.